Police took pity on a woman who was a prolific thief after she was arrested for stealing from a shop. On being released, Olivia McNeil was given a bag of microwave meals by police, which are used to feed prisoners in the cells. She had stolen because she had had no benefits for about eight weeks and if she had not been given the microwave meals she would have had nothing to eat, a court was told. Her lawyer said he had never heard of the police giving out meals before. McNeil, 32, of St Heliers Road, South Shore, pleaded guilty to theft. She was given an 18 month conditional discharge and ordered to pay £85 costs with £20 victims’ surcharge. Prosecutor, Neil White, said a store detective in Superdrug in the Houndshill Centre, saw McNeil go behind a pillar in the shop with a gift box on October 6, and then emerge again without the box. She left and detained outside and was found to have two perfumes and a gift box valued at £94 she had taken. 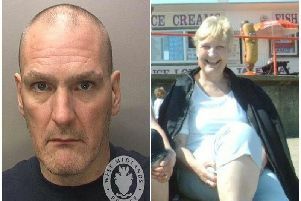 McNeil had a record of 62 offences of theft and similar offences and had been released from prison in August. Peter Manning, defending, said his client and her partner had moved to Blackpool. They had applied for benefits but there was a delay in getting them and they had no money for about eight weeks. McNeil then resorted to stealing to feed them both. A pensioner accused of having indecent pictures of children has appeared at court. Roderick Sharman, 70, of Sherbourne Road, North Shore, faces a charge of possessing 15 indecent photographs of a child and one charge of having three prohibited images of a child. The offences are alleged to have taken place on August 7 this year. Prosecutor, Alex Mann, asked for the case to be heard at crown court. Defence lawyer, Steven Townley, said his client would not indicate pleas to the offences at that stage. Sharman was bailed to appear at Preston Crown Court on January 2. A man who punched a steward at a football match has been banned from attending games. Anthony Murray hit the steward in the face after being ejected for shouting abuse at players during the Blackpool v Accrington match at Blackpool’s Bloomfield Road. Murray, 35, of Booth Street, Manchester, pleaded guilty to assaulting the steward on November 13. Prosecutor, Rachel Parker, said Murray and others were ejected from the ground after shouting abuse at players. Murray was banging on a door outside the stadium and when the steward opened the door and asked him to calm down the defendant punched him in the face. The prosecution said it was going to ask for a Football Banning Order (FBO)to be imposed on Murray. Defence lawyer, Gerry Coyle, said he had not yet received the details of the FBO it was intended should be imposed and asked for time to get legal documents on the case. Murray was bailed to December 17 by District Judge Jane Goodwin. As conditions of bail Murray must not enter any sports ground in the United Kingdom while a designated football match is taking place. He must not attend or travel to any place where Blackpool Football Club are playing in an away fixture. Murray must not go near the club’s ground at Bloomfield Road four hours before or four hours after Blackpool play there. He must not attempt to travel to any place in the UK when England or Manchester United play there. Murray must not attend Manchester city centre four hours before or six hours after the end of a match. A man returned to a town centre shop from which he had been barred because of his unruly drunken behaviour. Rogers Mashanga, 39, of Central Drive Blackpool argued with staff at the McColls store on Coronation Street,Blackpool. He then pushed over a Lottery stand causing damage. Mashanga was found guilty after a trial and was sentenced to a year-long community order and ordered to pay £735 court costs .